Philadelphia International Airport is one of the most affordable airports in the US, according to a new report. Cheapflights.com, a popular travel search engine that helps travellers find the best flight deals, ranked the gateway sixth out of 101 US airports that the site surveyed in its sixth annual Airport Affordability Index. 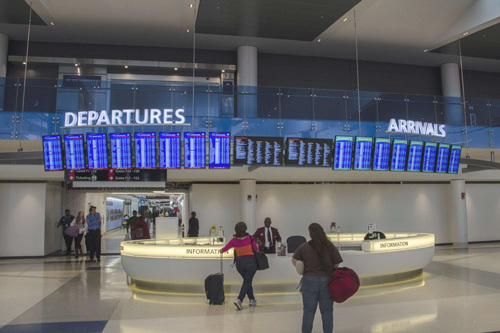 “For our annual index, we look at average airfares travellers found on our site during the month of June to a mix of popular domestic and international destinations and use the data to rank the 101 airports on the list,” it stated on its website. With an average airfare of $267, Philadelphia (PHL) improved its ranking by 42 spots from last year when the average fare came in at $386. “PHL’s affordability is the result of the hard work of the airport and our airline partners,” revealed CEO, Mark Gale. “In the past couple of years, new service and more flights on popular routes by several carriers have spurred competition, which has reduced average fares, and has made PHL even more attractive to the flying public. American Airlines, PHL’s hub carrier, offers more than 450 daily non-stop departures to 127 domestic and international destinations. Additionally, since last autumn, low-cost carrier Frontier Airlines has added service from PHL to Miami, Orlando, Tampa, Atlanta, Charlotte, Chicago O’Hare, Minneapolis and Houston Bush Intercontinental as well as Cancun. While Spirit Airlines, another low-fare carrier, has added service to Chicago O’Hare and Atlanta on top of service to Las Vegas, Myrtle Beach and Dallas-Fort Worth. And low-cost Southwest Airlines, already serving 11 destinations from PHL, will start service to Dallas Love Field next month. Gale said the key to maintaining PHL’s cost-friendliness is the great working relationship with its airline partners. 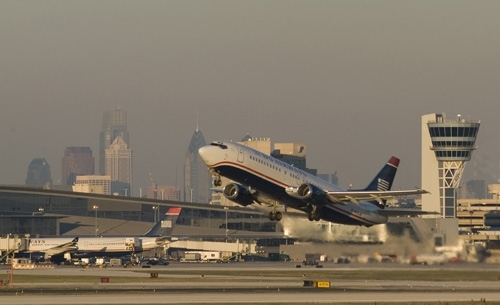 Last month, the City of Philadelphia, which owns and operates PHL, signed a new five-year Airport-Airline Use and Lease Agreement between the City and each airline that provides service to PHL. “We have all worked to ensure that our Airport runs efficiently and provides a pleasant passenger experience,” he admitted. In September, PHL expects a significant increase in passengers who will be flying to Philadelphia to see Pope Francis who will be making his first visit to the United States. And, next summer, Philadelphia will host the Democratic National Convention.